Copag Texas Hold'em Cards has a glamour case. This deck of 100% plastic playing cards features the popular Export back design with a white border for extra security. 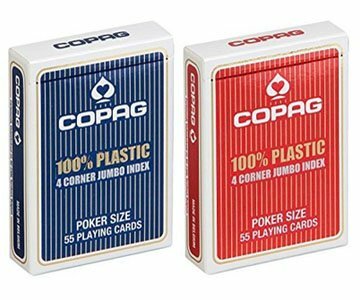 The Texas Hold'em line is a great way to try out genuine Copag plastic playing cards or keep your players happy at your next tournament. This 4PIP edition has a very special snowflake design. 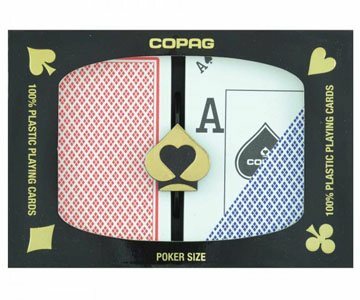 And the Ace of Spades features the new COPAG logo. It can be marked by our special and unique invisible ink. You can see the marks on the cards back clearly. That means you can know the cards’ number and suits before anyone else, which is greatly helpful for you to be the winner. Made with top quality materials and state-of-the-art technology, these 100% plastic playing cards are manufactured just like the cards featured on televised poker tournaments. 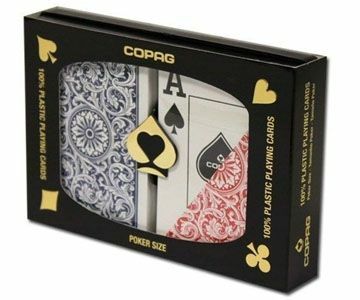 1546 is the most popular cards for Copag playing cards. Now we have these cards in marked edition in our stock. The marks compound with both number and suit. 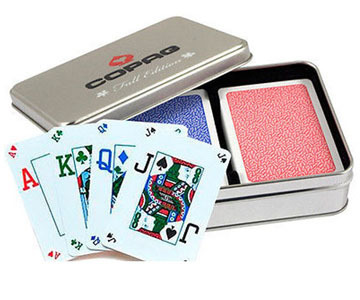 Copag Export Playing Cards is also a kind of marked cards produced by our company, Golden Sunshine Entertainment Ltd,. The marks made with our special and unique invisible ink can be seen clearly after wearing our special contact lenses and sunglasses. 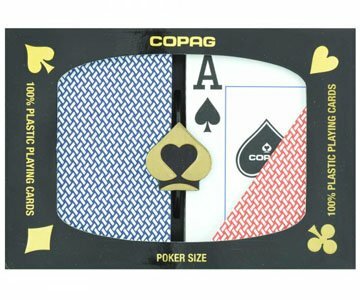 Copag Cards are edurable, flexible, shuffle effortlessly and deal with ease. This kind of Fall Edition Cards is a kind of Copag 4 Seasons series. It's a limited edition. It has a wonderful back with cedar leaves. We mark these cards with number and suit on the cards back. They are clear to see. The Copag Dual Index is the latest release from Copag! These feature 2 separate indexes on the same card. These cards are 100% plastic and include the standard black plastic storage case. 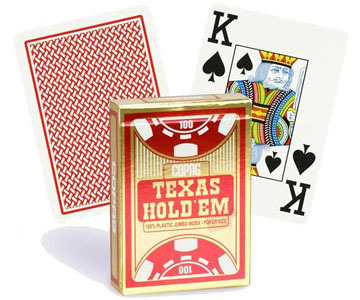 Perfect for Texas Hold'em Players! Now these cards are sold by our company in marked cards edition.